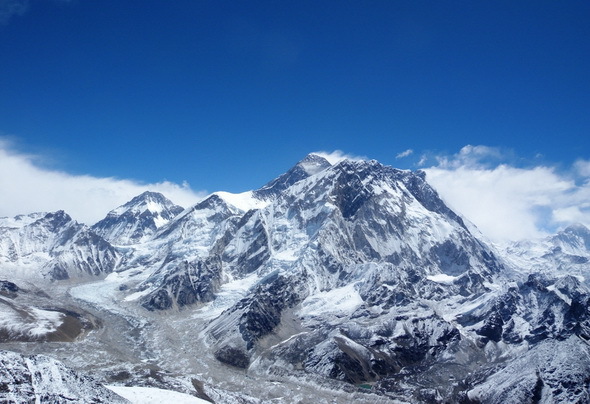 At 8850m (29,035 feet), Mount Everest is the highest mountain in the world. Mount Everest, which is also known as Chomolungma (“Holy Mother”) in Tibetan, is located in Nepal, close to the Tibetan border and belongs to the Himalayan Range. The mountain has two main climbing routes: the southeast ridge from Nepal and the northeast ridge from Tibet. The southeast ridge is the most popular route and was also used by Sir Edmund Hillary and Tenzing Norgay, who were first to summit the mountain on 29 May, 1953. Due to the extreme altitude of Mount Everest, the climb itself normally takes approximately two months, requiring climbers to go through a careful process of acclimatization in order to limit the effects of altitude sickness. By the end of 2010, there had been 5,104 ascents to the summit by 3,142 individuals from about 30 countries. However, at the same time, Everest has claimed 219 lives. 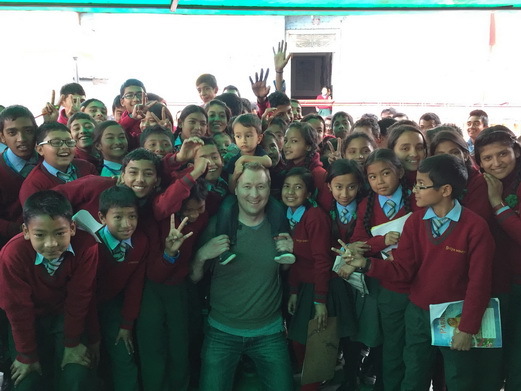 For the past few years, I’ve had the privilege to work alongside my wife Delanii to support the Surya Vinayak English School in Bhaktapur, Nepal. The school is home to around 300 children aged 2-15 and is the first school in Kathmandu area to accept disabled children, despite extremely limited facilities and resources. We got introduced to the school, which operates on a not-for-profit basis, when Delanii spent some time there as a volunteer teacher in 2011 and since then, with help from generous friends, including my classmates from London Business School, we’ve raised significant amounts of money for the school to build basic facilities including sanitation, hire extra teachers as well as providing teaching aids and materials. 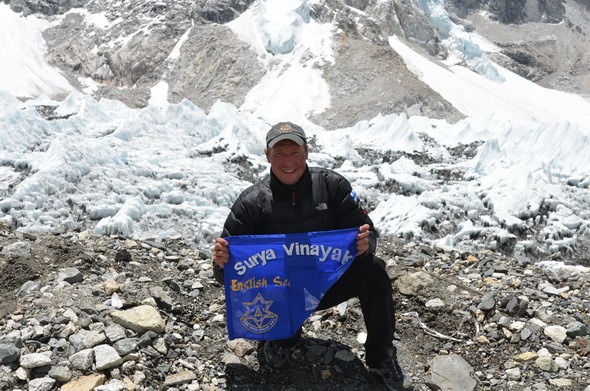 We visit the school on a regular basis, but this was the first time I got a chance to share my story of climbing the pride of Nepal, Mount Everest, with the children and taking the flag of Surya Vinayak English School to the top of the world. Visiting the school is always a humbling experience as despite the very challenging circumstances the children show amazing desire, fuelled by the dedication of the staff, to create opportunities for themselves through education and improve not only their own lives but the lives of those around them. We can all learn a lot from them. 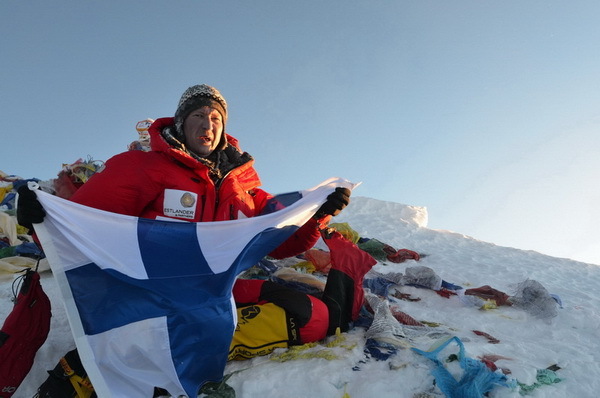 Today marks the 2nd anniversary of summiting Mount Everest for me. The feelings related to taking those last few steps to the top of the world after years of training, planning and preparation, are still fresh in my mind. The last two years have given me a lot of perspective to the ambitious project and what I’ve learned from it as an individual. I’ve also gotten a chance to put those learnings to test through sharing my experience with thousands of people at schools, universities and companies around the world through motivational presentations as well as through advising companies on various topics. 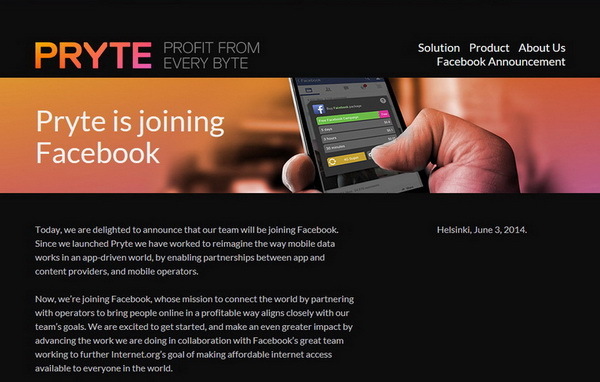 I’ve also taken on new start-up project, Pryte, my 5th start-up in the technology / telecoms space, where we’ve set our targets pretty high and which I’m very excited about. I’ll have more to report on Pryte later on, but I can already confirm that the same approach from taking on ambitious high-altitude expeditions also apply to increasing your success in business! Last year gave me dozens of opportunities to relive my journey to the top of the world through motivational presentations at schools, universities / business schools and companies primarily across Europe and the Middle East, including at great companies such as Accenture, HP, McKinsey & Company, Danone and Dubizzle. I spoke to audiences of various sizes, ages and cultural backgrounds about how many of the challenges we face on high altitude expeditions are very similar to the challenges that we encounter in our daily private and professional lives and therefore, how many of the ways in we address those challenges on the mountains are also relevant at sea-level. 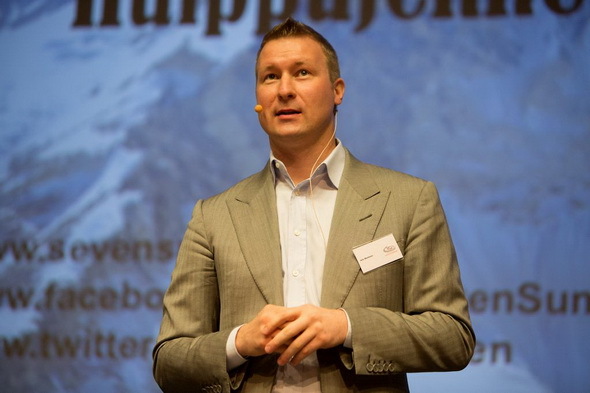 As a businessman and mountaineer, I use the journey to address various topics relevant to businesses from encouraging ambition and setting goals for sales teams, to improving teamwork within and across departments as well as addressing topics such as dealing with constantly changing operating environments. My most memorable experience from the past year was one young lady who came up to me post-presentation explaining that she suffered from ADD and has struggled to focus for periods longer than a few minutes for most of her life, however, my story had kept her engaged for almost two hours. Shared my own leadership experiences from business and mountains to give the participants a different angle on the challenges of leadership. Spoke at McKinsey & Co’s first iMEO (Inspire Middle East Office) event in Dubai about what inspires me to test my limits in harsh environments like Mount Everest. Met some very interesting people, had interesting conversations with a comedian and an inventor and inspired a few people not just to their own “mountains”, but real ones too! 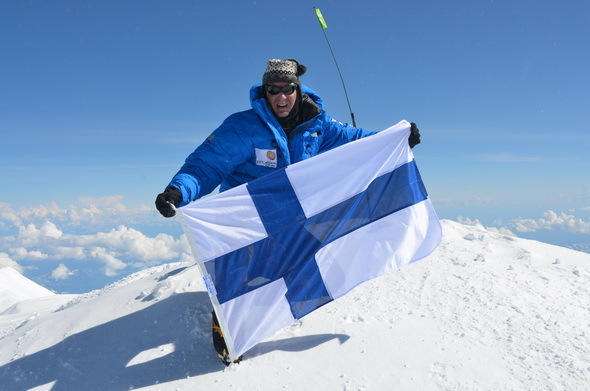 Today’s the first anniversary of my Seven Summits – climbing the highest mountains of every continent as the first person from my native Finland. The “Seven Summits” –term was coined by Richard Bass, an American climber, who became the first to climb the mountains in 1985. A year later, legendary Italian mountaineer, Reinhold Messner, also climbed the Seven Summits, but instead of climbing Mount Kosciuszco in mainland Australia, he felt that the highest mountain for Australian continent should be Carstensz Pyramid (4884m), which stands in the middle of the jungle on the island of Papua in Indonesia. There mountaineering community remains split regarding which one is the correct mountain for Australia, so both views are accepted and referred to as the Bass and Messner Seven Summits Lists. It was an amazing feeling to complete a project that required years of focus and dedication, but also led to a feeling of what’s next and a desire for another big project. I’ll tell you more about what that ill be later! The biggest mystery that continues to interest people regarding Mount Everest is no doubt the faith of the summit attempt of George Mallory and Andrew “Sandy” Irvine on June 8th, 1924 – almost 30 years before Everest was officially conquered by Sir Edmund Hillary and Tenzing Norgay. 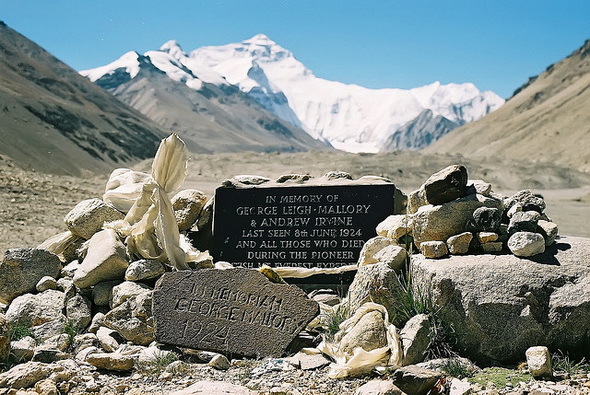 Mallory and Irvine, part of a British Mount Everest Expedition, had set off from their high camp at roughly 8,200m on the North Ridge of Everest and at 12:50 they had been seen less than 300 meters from the summit – just before disappearing into a pre-monsoon snow storm and only to reappear in the pages of history. In 1999, the Mallory and Irvine Research Expedition was organised to discover evidence of whether Mallory and Irvine had reached the summit during their June 8-9th attempt or not. The expedition was organised and led by IMG founder Eric Simonson and based on the research of Jochen Hemmleb, who had identified an area in which he expected to find both Irvine’s body along with a camera, which, had the pair been successful, should contain a summit photo. Within hours of beginning the search on May 1st, Conrad Anker found a body on the North Face, at 8,155m, but to everyone’s surprise it turned out to be Mallory, not Irvine. Mallory’s body was found well-preserved only an hour or two from the safety of where their camp had been. However, the biggest news was created by what was missing. Mallory had carried a photograph of his wife Ruth with him, which he had planned to place on the summit in the event of success – but it was no longer part of his possessions. 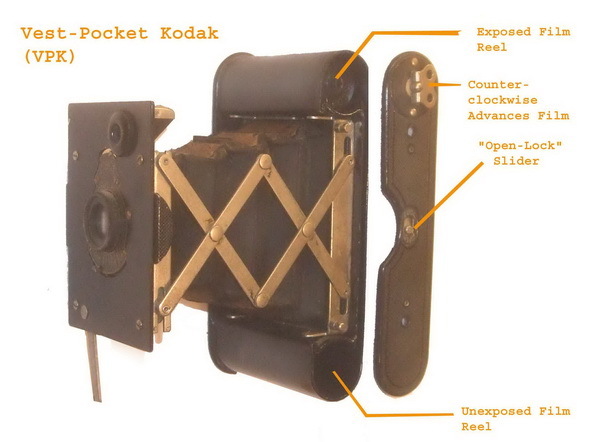 No-one apart from Mallory and Irvine knows what really happened on June 8th, 1924 and until Irvine’s body and more importantly, his Vest-Pocket Kodak camera is found, the faith of their expedition will continue to split opinions. 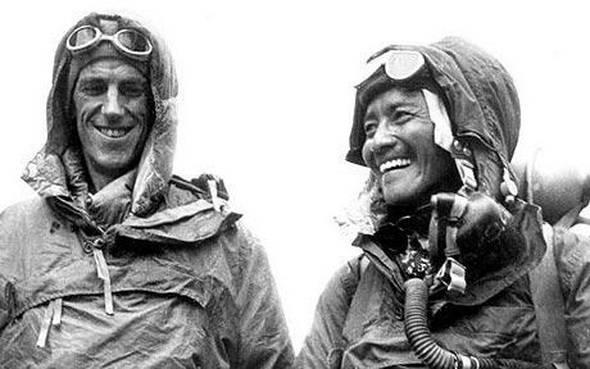 This year was always going to be special – after all it’s the 60th anniversary of the first ascent of Mount Everest by Sir Edmund Hillary and Tenzing Norgay. With big expectations 29 teams consisting of 315 climbing permit holders approached Everest from Nepal (the South Col Route) and 10 teams consisting of 100 climbing permit holders from China (the North Ridge Route). There was unprecedented coordination of climbing and summit push strategies between teams – everyone keen to avoid the traffic jams of last season on both the Lhotse Face and the Hillary Step, which I had experienced first-hand. Fortunately, this season was also characterized by a long summit window, from May 17-25th, with excellent weather. This, along with the coordination between teams ensured that most climbers avoided major traffic jams during their summit pushes and based on latest count almost 190 climbing license holders reached the summit – reflecting a 44% success rate. Among those successful was Dave Hahn, who recorded an amazing 15th summit – a record for a non-sherpa climber. The Sherpa record of 21 summits is shared between Phurba Tashi and Apa Sherpa. Another noteworthy achievement this season was 80 year old Yuichiro Miura from Japan becoming the oldest person to summit Everest. Amazing feat! Unfortunately, this season will also be remembered for negative things. Nine climbers lost their lives during the season, just shy of last year, which turned into the second deadliest in history. Among the deaths was very experienced and much liked Alexi Bolotov from Russia. The season will also be remembered for a fight that took place in Camp 2, at 6500m, on the South side, between Simone Moro and Ueli Steck and a group of Nepali Sherpa – triggered by an unnecessary incident above 7000m on the Lhotse Face. Much has been written about the incident, so I will only state that the resulting negative publicity towards mountaineering across the globe was unfortunate and will take long to erase from the minds of the general public. At 1130 local time on May 29th, 1953 – exactly 60 years ago, New Zealander Edmund Hillary and Nepalese Sherpa Tenzing Norgay made history by becoming the first people to reach the summit of Mount Everest. Hillary and Norgay were part of the ninth British expedition led by John Hunt and financed by the Joint Himalayan Committee of the Alpine Club and the Royal Geographical Society, which had decided to attempt the summit via the South Col route from Nepal. Nepal had only opened its doors to expeditions in 1950 and Hillary was part of a British expedition in 1951, which had surveyed the route and confirmed that it could be used to reach the summit. 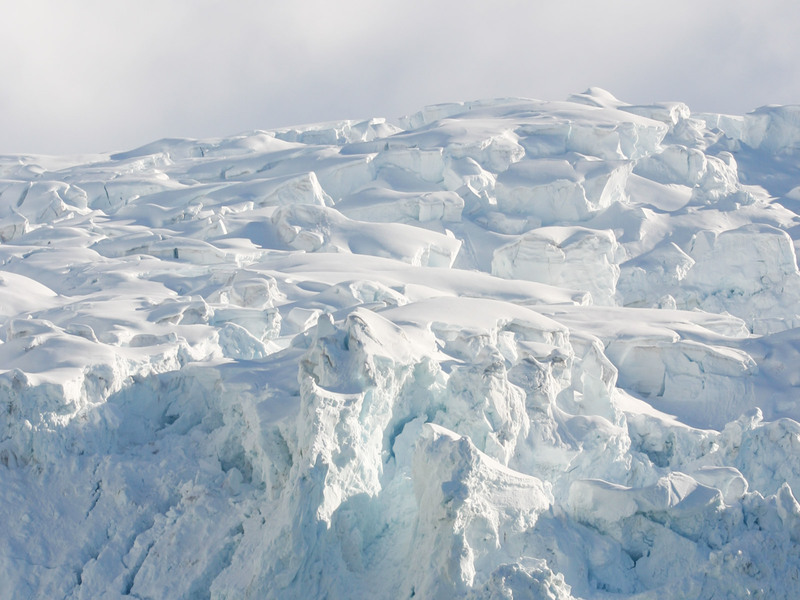 However, their attempt had been stopped by an impassable crevasse in the Khumbu Icefall. Further, Norgay had been part of a failed 1952 Swiss Mount Everest Expedition, during which he had been personally forced to abandon the summit bid 150 meters from the South Summit, which stands at 8750m. 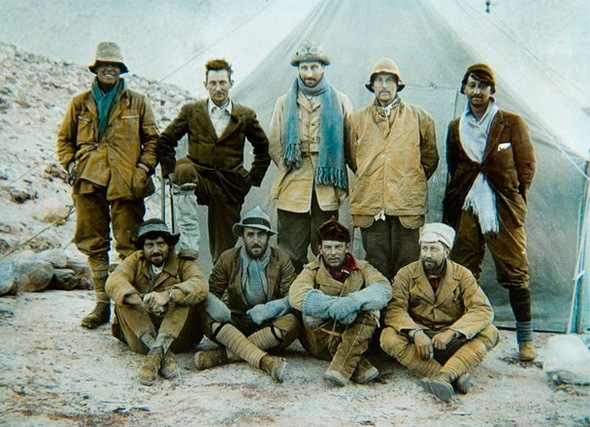 During this early period of exploration on Mount Everest, the Nepalese government limited expeditions to only one per year and given that a French expedition has received the permit for 1954 and a Swiss expedition for 1955, the British team was under pressure to claim the first ascent. The expedition established a total of six camps to reach the South Col at 7900m and launched the first summit bid, by Tom Bourdillon and Charles Evans on May 26th, using closed-circuit oxygen systems. The two-man team became the first to reach the South Summit at 8750m, but was then forced to abandon their summit bid due to becoming exhausted as well as having problems with the oxygen systems and running out of time. On May 27th, the expedition launched their second and last attempt at the summit by the climbing pair of then 33 year old Edmund Hillary and 38 year old Tenzing Norgay. The pair reached the top of the world at 1130 local time on May 29th, achieving the historic first ascent of the highest mountain on earth. 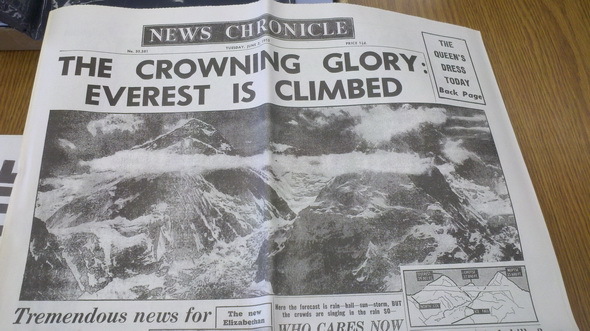 News of the expedition’s success reached London on the morning of Queen Elizabeth II’s ation on June 2nd, 1953. By the time Hillary and Norgay returned to Kathmandu some days later, they had been knighted by Queen Elizabeth II. However, more importantly, they had inspired thousands to pursue their footsteps to the top of the world, including myself.